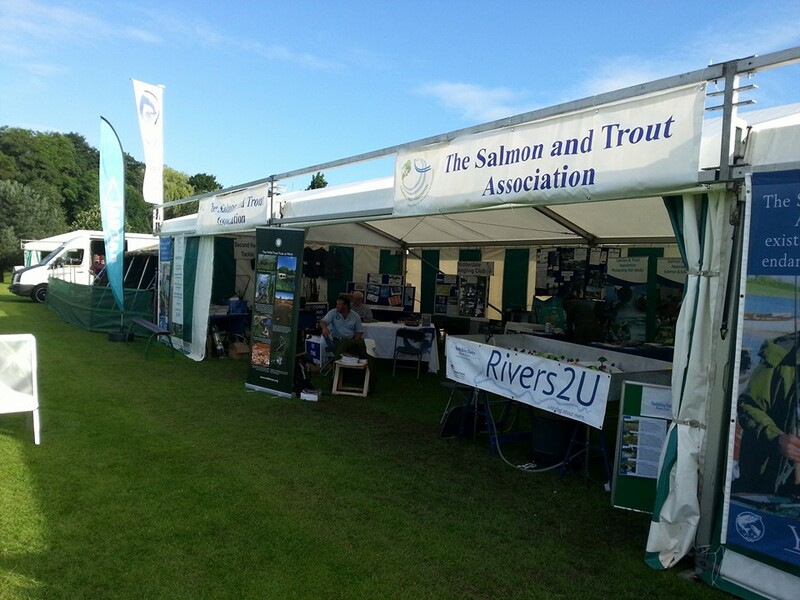 The local branch of Salmon & Trout Conservation UK are at The Great Yorkshire Show from Tuesday 12th to Thursday 14th of July so please call in at our marquee and say hello! We are there all three days and the show is open from 7.30am to 7.30pm (6.30pm Thursday). Come and find out about the important work we do to preserve our aquatic habitats and dependent species for future generations. 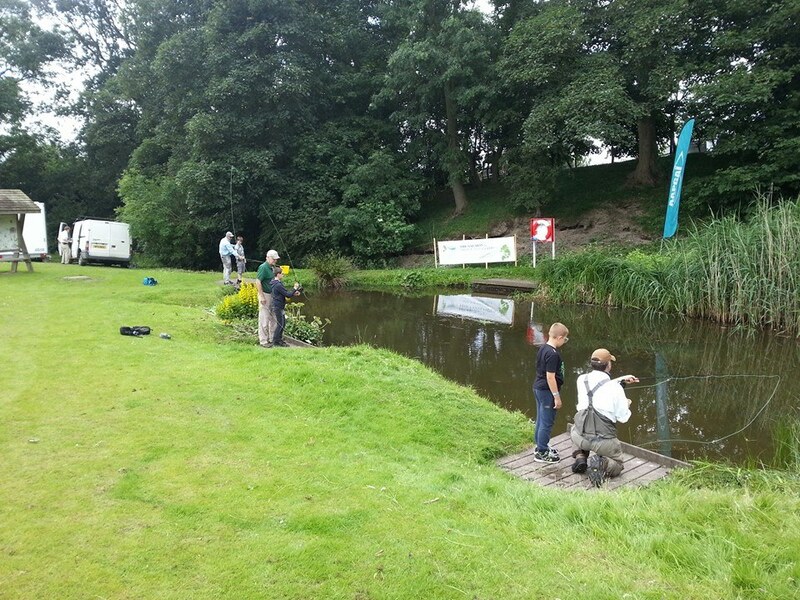 Watch fly fishing demonstrations from the experts and have a go yourself in the casting area. Learn about rivers with the Yorkshire Dales Rivers Trust. See HERE for further info on the event. This entry was posted in News, Show and tagged Conservation, Fly Tying, Great Yorkshire Show, Harrogate, News, Steve Cheetham on 12th July 2016 by Chris Carter. Stephen Cheetham, Riverfly Monitor on the River Wharfe, Yorkshire, UK. Part of the Riverfly Partnership’s Anglers Riverfly Monitoring Initiative (ARMI) to monitor water quality and safeguard our rivers and streams. This month, by way of a change, Roger has kindly allowed me to take the reins to talk about the conservation work which is carried out on our rivers. 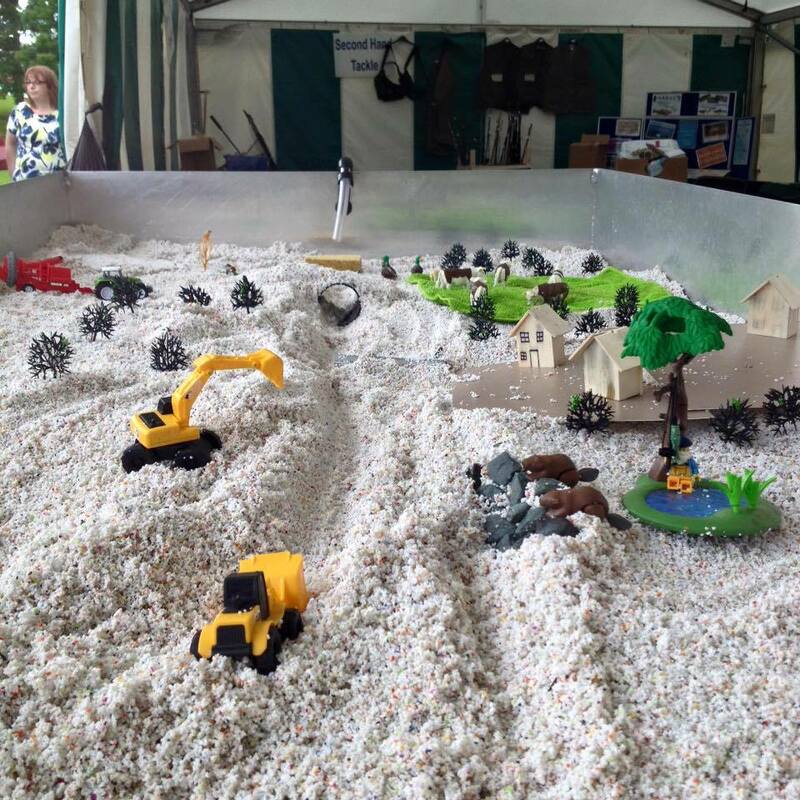 Each river in Yorkshire is under the scrutiny of a Rivers Trust specifically set up to take care of their local river. Not many people are aware of the work done simply to keep our rivers clean, healthy and safe from pollution and invasive species. Whatever the weather, I can be seen, up to my waist in the River Wharfe every month at Addingham High Mill –brandishing a large net. But before anyone reports me to the river bailiff, I would like to point out that I am not using it to try to catch any fish! Instead I am one of an army of over 400 volunteers who regularly look after our rivers and streams in the UK, checking on the levels of invertebrate life to help to monitor water quality. The nets used are specifically designed to collect a sample from the gravel on the riverbed so that they can be checked for a range of insect life. The initiative is the responsibility of the Riverfly Partnership, a national group that organises and trains teams of volunteer samplers who look for the bugs and mini-beasts living in the riverbed and report back on the numbers they find. Most of the tiny creatures we are looking for are the water-living stage of winged insects such as mayflies and sedges. They are sensitive to changes in water quality and if they are not present in sufficient numbers, I and my fellow samplers alert the Environment Agency. Their job is to investigate and take action if they find that an incident of pollution has caused the drop in numbers. Anglers and environmentalists know about the bugs that live in the river but most people are unaware of them. Anglers are often the first to be aware of changes in water quality because they know their rivers so well. And they’re in a good position to act as samplers as they don’t need much persuading to get into the water! Most of the nationwide teams of samplers are made up of anglers, a fact which surprises many who think that fishermen are only interested in catching fish and eating them. But fishing is now mainly about conservation and most fish caught are returned to the river unharmed. Currently, on the River Wharfe, we have just a small team of samplers but much more needs to be done to ensure better coverage. We would like to train more sampling teams to sample other stretches of the Wharfe and also other local rivers, but we need funding to do this. Thankfully, with funding from the Salmon & Trout Association, West Yorkshire Branch, and the Aire Rivers Trust, we are now able to begin training 12 new volunteers to sample 12 points on the River Aire, starting March 2015. Anyone interested in volunteering as a sampler, or in sponsoring the training of sampling teams or advising on funding for these can contact me on sales@fishingwithstyle.co.uk . You do not have to be an angler to volunteer, you just have to be interested in conserving our rivers and, as a result, our environment. All we ask is for two hours of your time per month. Find out more at The Riverfly Partnership website. This entry was posted in Conservation, News and tagged Aire, Conservation, News, Phil Sheridan, Riverfly Partnership, Steve Cheetham, Wharfe on 4th August 2015 by Chris Carter. 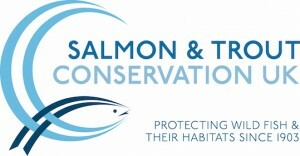 The Salmon and Trout Association West Yorkshire Branch in partnership with the Riverfly Partnership, the Aire Rivers Trust, the Environment Agency and East Riddlesden Hall, National Trust. This entry was posted in Conservation, News, Workshop and tagged Aire Rivers Trust, Conservation, East Riddlesden Hall, Environment Agency, News, Phil Sheridan, Riverfly Partnership, Video, Workshop on 4th April 2015 by Chris Carter.